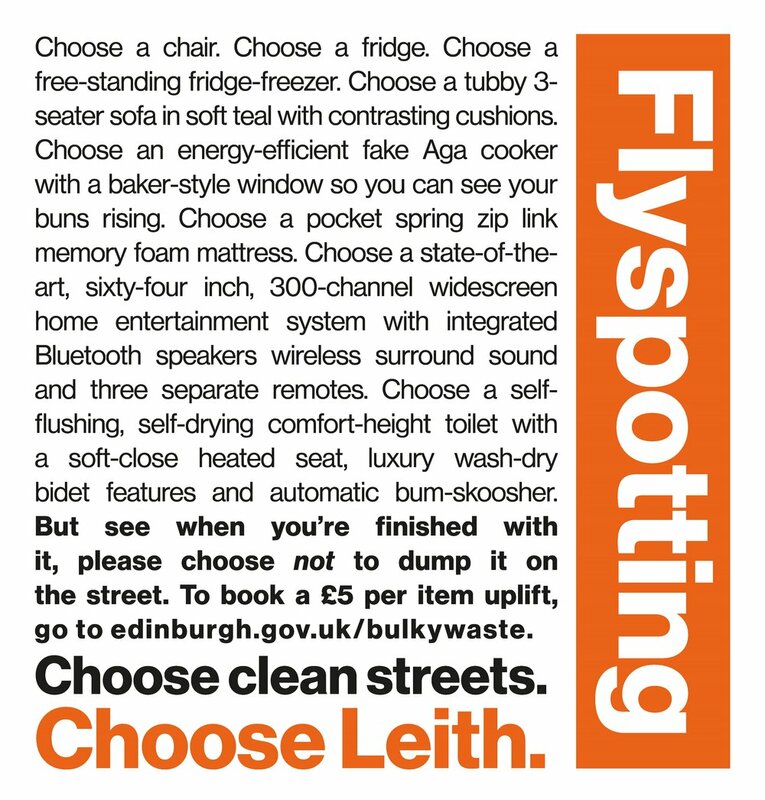 From 13th May to 30th June 2018 we ran a flytipping prevention campaign called Flyspotting in the test area of Albert Rd – Easter Rd – Lorne Street – Leith Walk. The campaign was part of the Zero Waste Leith project led by Changeworks, funded by the Scottish Government through Zero Waste Scotland and the European Regional Development Fund. We launched the campaign in an on-street living room furnished with stuff we picked up on the streets in Leith. The campaign generated lots of press coverage and was mentioned on BBC Radio Scotland and in the Scottish Parliament. You can download the campaign overview, the indoor posters and the Sunshine booklet by clicking on the respective image. You can watch the campaign launch video here. The campaign reduced flytipping by 47%. There was 76% less furniture on the streets in July, after the campaign. 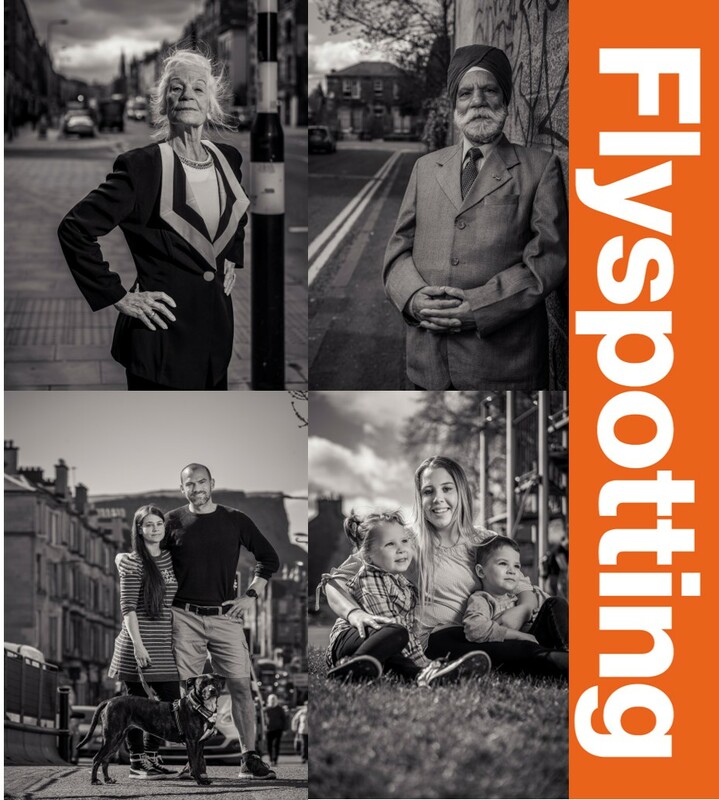 Nine out of ten people said they found the campaign useful and 85% of respondents felt their community was now better equipped to tackle flytipping. 54% of residents are now more likely to report flytipping. A third of the respondents said they learned something new about the £5 bulky uplift service and more than a fifth said they were more likely to use the service. 20% were more likely to donate old stuff. 10% were more willing to use the recycling centres.